We stock a range of S.E.N. resources, including a wide selection of Speaking and Listening products ideal for engaging and inspiring S.E.N. learners. Our other special needs resources include Keyboards & Mice and S.E.N. 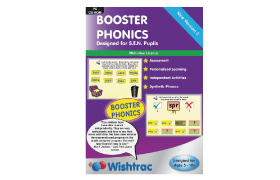 Software, including our proven Booster Phonics software designed specifically to improve the reading development of S.E.N. learners.